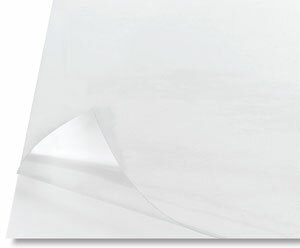 This pressure-sensitive Dura-Lar product is an .005", medium weight, clear film with a permanent adhesive backing. It's ideal for use in laminating or as a protective covering. It is acid free, of archival quality, and available in sheets and rolls.